Ashtanga yoga is a dynamic practice that transforms the relationship between body, mind and breath. We relate all of our awareness to one breath, to one point in time and hold our attention there. 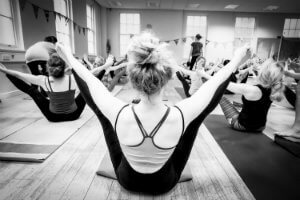 In this workshop we will see how the ashtanga yoga practice gains us the understanding and experience to fully open into the way we relate to ourselves and the world. We will practice a full primary series and look at specific techniques that hold the practice together so that we continue along the path of unveiling yoga in our lives. We will see that we are letting go of effort to always refine our breath and movement. We will also beg the question ‘Why do we actually do this?’ and contemplate if there is a bigger reason to us returning to our mats. Scott has been practicing yoga since 1999 and has taught Astanga Yoga since 2003. He was an early graduate of the John Scott teacher training program. In 2009 he co-founded Stillpoint Yoga London (SYL), an Ashtanga Yoga Mysore studio in central London which runs Monday-Friday from 6.30 to 10 a.m. where he is the principal teacher. 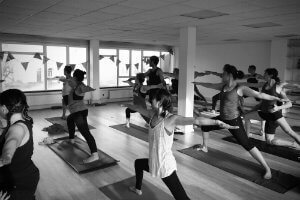 SYL has assisted many people in waking up to the self-practice, Mysore-style method of Ashtanga Yoga, and nurtures a very close and inspiring community. Scott facilitates workshops and trainings with some of the world’s leading teachers. He is also a senior teacher with the Yoga Alliance UK, one of the main UK associations. Currently he is developing his work as a Mindfulness Yoga teacher/trainer through an in-depth training program with the Clear Mind Institute, which nurtures this path. A yoga workshop with Scott is insightful, kind-hearted, and gets to the heart of why we practice yoga.